NAHL plc, the company that owns National Accident Helpline, is to launch its “small claims ready” law firm next year, now that the government’s personal injury (PI) reforms have been put back a year. The company – which already has two joint venture alternative business structures (ABSs) – said the aim was to launch a “market-leading PI volume law firm” in the first half of 2019. This ABS – which it first announced in March – will be 100% owned by NAHL and marks the next stage in the group’s evolution into providing legal services directly, rather than just a supplier of leads to panel firms so as to protect its business. When it looked like the reforms would be implemented in April 2019, the firm was going to be launched this year, but it has now been put back. 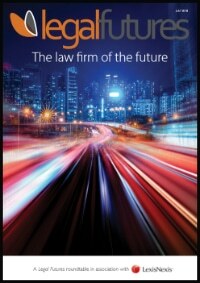 The new firm will in essence be a technology-enabled self-serve model with back-up support from lawyers where required. The company insists that its panel will remain integral to its operations though. 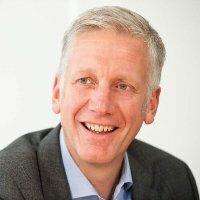 Chief executive Russell Atkinson told Legal Futures: “We anticipate no change in the way we allocate enquiries and will continue to place these through a combination of our traditional panel law firms (PLFs), our joint venture partnerships and, eventually, our new ABS which will be 100% owned by the group. “There will be no cherry picking of enquiries for our ABS and a strict rota system will apply to ensure a fair distribution of work. If the demand for enquiries continues from PLFs, we will be happy to satisfy this. In its interim results for the six months to 30 June, NAHL announced revenues flat at £24.9m, with underlying operating profit down from £7.3m to £6.4m. PI revenue increased by 4.3% to £15.5m, reflecting the consolidation of £1.7m of ABS revenue, but the group’s residential conveyancing leads business suffered in the difficult property market. It said the fall in profit was in part a result of “the later profit recognition when we invest in PI case processing”. NAHL cut the interim dividend from 5.3p last year to 3.2p, saying it was adopting a “more prudent dividend policy” in light of its investment plans – it has put £4m aside for the new firm. It said the “encouraging performance” of the two joint venture ABSs gave the group “confidence” to launch its small claims firm. The ABSs, which also act as regular panel firms, are Your Law, in association with NewLaw Solicitors, and National Law Partners, in partnership with Lyons Davidson. Mr Atkinson said this was “a year of transition” for NAHL’s PI division. “The government’s reforms will have no bearing on the number of accidents that occur but it is clear that there is an opportunity for a new type of law firm to help consumers with genuine claims to obtain access to justice. Mr Atkinson continued that there would be “continued challenges” to its panel’s demand for enquiries as a result of regulatory change. “As an example, we are in discussion with one of our major panel law firms about leaving our panel in H1 2019. Chairman Steve Halbert said in the stock exchange announcement: “[The new firm] will continue to change the group’s financial profile as both profit recognition and cash realisation are deferred until case settlement.